March has been a crazy busy month. It’s taken me this long to actually write a post about my new album. Sure, I mentioned that RPM was done weeks ago, but never got to follow up with details on Navasio. 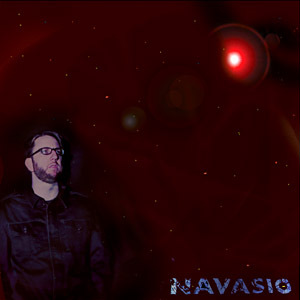 Navasio features 5 songs which provide 36 minutes of music. I recorded all of the guitars, bass, and vocals myself, and some of the cymbals. I used a variety of drum loops and samples as well. CD Baby: You can buy an actual CD (with a cover, and case and everything) from CD Baby. Great for people who like physical media, or really want to support what I’ve done with a cash money contribution. I have no idea if I will ever sell one, but it will be interesting to see what happens. Interesting enough, the album seems to get at least a few hits every day there. That may just be because it’s still new. The real reason to put it on CD Baby is because you can get it distributed to Amazon, Rhapsody, Napster, and the iTunes store. CD Baby is a great company, so putting there is a neat thing to do. Jamendo: These guys are a community of free, legal and unlimited music published under Creative Commons licenses. Yes, Navasio is published under a Creative Commons license. Jamendo has all sorts of “partner programs” which could help your music get used in other ways. Background music, ringtones, webradio play… Weird stuff, but hey, I like promoting Creative Commons, so it’s all good. Last.fm: It’s interesting to see how many people might “scrobble” my songs, but it’s also possible to put songs on Last.fm for people to download, so I did. I’m guessing 95% of the “scrobbles” there are from me, but that’s ok.
Facebook: Now, if any of my 4 fans even want the inside scoop, this is the place to get it! You too can become a fan of “Pete Prodoehl” on Facebook, which honestly sounds a little silly to me, but hey, it’s all part of the grand experiment. What’s that? No… you won’t find it on Myspace, because I pretty much hate Myspace. I know, if I was in a real band who had to promote themselves, I’m sure it would be added to the list. And I’m sure there are other places as well, but I mainly chose my favorites to use. Posted on Sunday, March 29th, 2009 at 7:00 am. Subscribe to the comments feed. Both comments and pings are currently closed. Post on your own blog.